Home > Contents > Visual indexes > Photo Design Co. 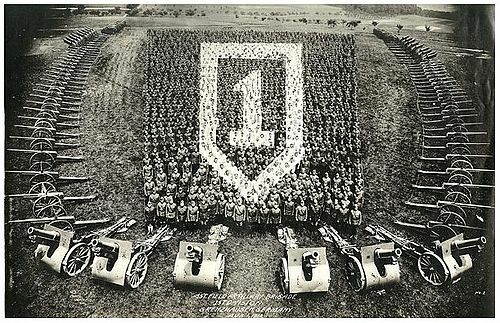 This is the first division, Grenzhausen, Germany, Aug. 1, 1919. There are 20 soldiers in the front row, hundreds in the back row. This allows the photographed image to form a rectangle, because the much wider back rows would recede before the camera according to perspective.